With craft brewers driving the beer agenda, it’s taken the big boys some time to get off the cost cutting and efficiency path and start to really innovate again. It’s interesting to watch: whilst craft beers generally focus on taste, flavour, quality, savouring; the big brewers target what they perceive as products that are more sessionable – and therefore for them, more scalable. Fruit is one focus; lower alcohol level another (making use in the UK at least, of that 2.8% duty break) and the third is spirits. 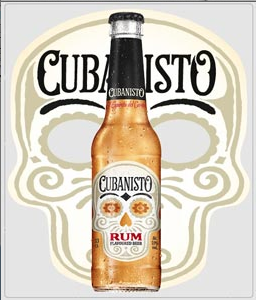 There’s quite a range of beer / spirit fusions now: bourbon flavoured beers (Buddy’s, Dead Crow); rum flavoured beer (Cuvano and Cubanisto, the latter recently launched by ABInbev) and of course, Desperado’s, a tequila flavoured beer. Let me be frank. The majority of these products do nothing for enhancing the reputation of beer, an ancient, agrarian and natural product that is respectful of the grower, the brewer, history and the drinker. These are factory mixed concoctions thrown together in a back street industrial unit, made from any old beer the owner can fix up; not actually containing the spirit in question (Why? duty dear boy, duty), then weasel-worded to sound authentic and enticing to a half cut Friday night drinker who can no longer take pint volume. These are products about profit not responsibility, and with that in mind let me also be clear: many of them will be runaway commercial successes. Mankind likes to be have an easy drinking skinful on the cheap, ‘twas ever thus and it will continue to be. Take Desperados: a sickeningly sweet and cloying Tequila parody that is nonetheless a rip-roaring seller. That’s business, I suppose. Naming the spirit on the label is an eye-trick. Perfectly legal (when accompanied by the word ‘flavoured’) it is a shortcut; a shortcut to creating a quick mental impression of the flavour expectation and oh! yes; tricking the drinker into thinking it contains the spirit in question. The strange thing in all of this is that it seems perfectly legitimate and possible to investigate using the flavours of spirits to inspire great beers. But why not go at the opportunity with some integrity? Bourbon after all does have rounded honeyish flavours and rich, steeped red fruit notes: barrel aging can give you all of these. Heck, adding some honey or some red fruits could give you that. And a few brands are now proving this: Innes & Gunn have been barrel aging successfully for a number of years to get these new spirit inspired flavours. 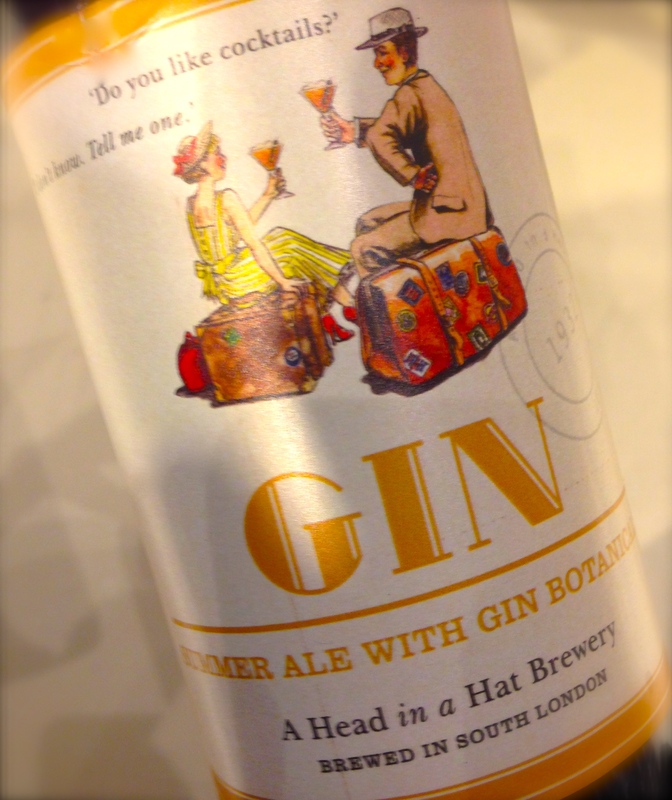 More recently I had a bottle of Head In A Hat ‘Gin’ – a 4.1% golden ale which uses gin botanicals from a small South London brewery called Florence (friend of Dillon and Zebedee?). According to the brewery, the botanicals come directly from the still of the City of London Distillery – and certainly those gin botanicals come through. The beer has a subtle flavour, with a clear edge of juniper and definite warmth, with a coating, peppery mouthfeel and aftertaste. And this is most definitely a beer, not a pastiche, with a large, loose head and a hazy butterscotch colour; drinking in fact bigger than its alcoholic strength. In truth, it was a relief to find it. I remain unconvinced – and a bit troubled to be honest – about these beer / spirit hybrids yet Head In A Hat shows that there is another dimension of subtle flavours from an adjacent world that beer can wrap its arms around. Saying that, there’s also a whole world of hop, malt and yeast flavours to be discovered too – and frankly, I’ll go there first.